Funny thing about this statement is that so many people actually think this way! 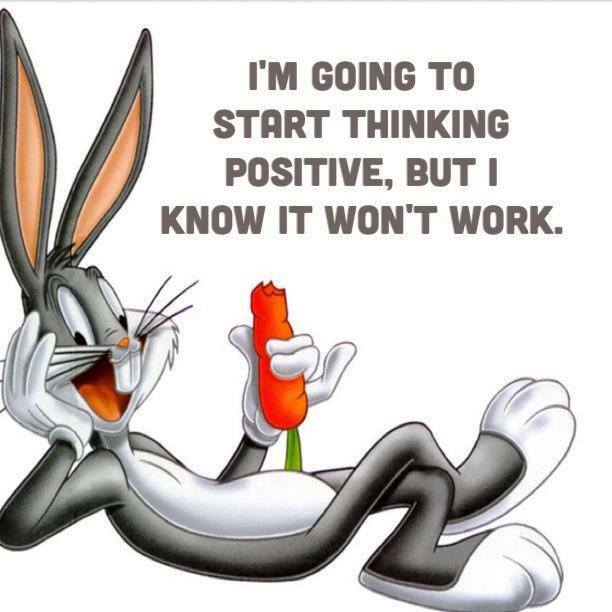 I hear something similar, “but it’s not reality to always think positive,” well, maybe not always, but is negative thinking the answer? Consistent negative thinking is like glue and will keep you stuck in a viscous circle; something causes you to be negative and you keep talking about it and re-hashing it which brings on more of the same feeling. When you eat something that taste bad you spit it out instantly, when you smell something terrible you quickly back off, and when you hear music you dislike you quickly turn the station. You wouldn’t keep chewing bad food, listening to horrendous music or go back to smell something that makes you nauseous. The same should be true for bad moods, negativity, sadness and depression. Express your feelings when you need to, and then get out of it quickly. We’re really not here that long, if you think about it, even if you live to be one hundred it’s a blink of the eye as far as eternity is concerned. I don’t mean this to depress you but rather to awaken you; it’s time to live your life to your fullest! 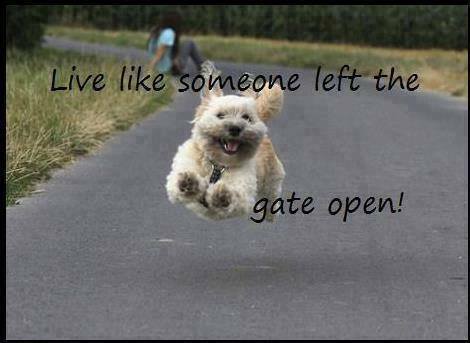 Living to the fullest is expressing everything you desire to do with out holding back. Let go of all the false beliefs and illusions that keep you stuck. We live in a dreamworld so it’s time to awaken out of the nightmare. Let go of fears, let go of the approval of others, let go of thinking things are mistakes and do everything in your life that your heart calls you to do. Whatever is stopping you demand it to go away. 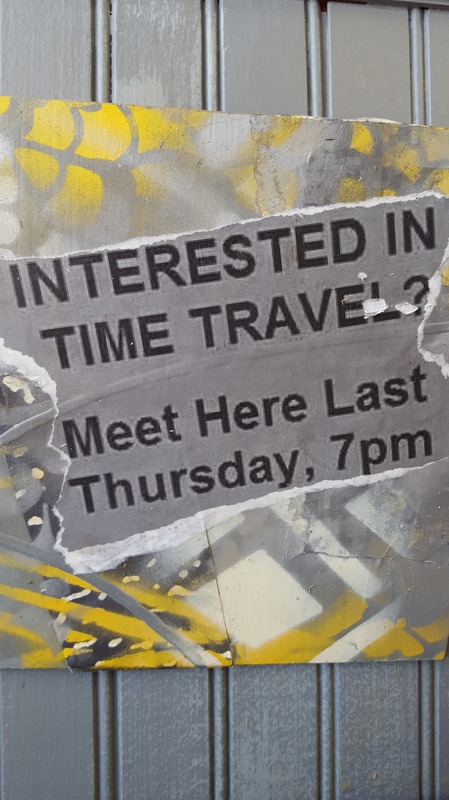 I saw this sign when I was at breakfast the other day and it got me thinking; for some people time travel is a crazy outlandish idea, but for others who have studied time/no-time the idea is rather simple, the details just haven’t been worked out yet. Can you imagine when someone said, “hey, lets take a flight to the moon” how completely impossible that may have seemed? But, well, you know the end of that story. So what are you dreaming that seems impossible? Do you stop your dream because others belittle you? Do you abandon what you would love to do because you yourself think it impossible? Lets face it, if someone in the 1950’s talked about how they’re trying to make a watch that can tell time, hear music, talk to your spouse, pay for goods, and find your way to the local pub, they would throw you into the loon bin! Fast forward a mere 50 years and voila, hello Mr. Apple watch. So please, no matter what your crazy, eccentric, bizarre, idea is, don’t let anyone stop you, including yourself, See you last Thursday.